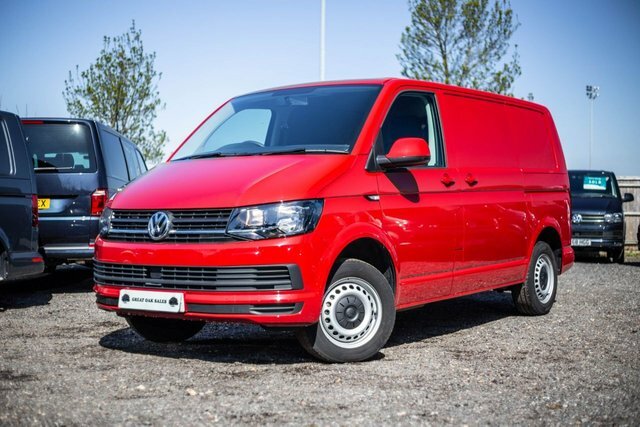 This Short wheelbase Transporter is the perfect van to get converted into a Campervan. It is a Startline vehicle but with perfect extras to make your camping journey as comfortable as possible. Extras: Cherry Red Colour, Single Seats, Air Conditioning, Alarm, Exterior Colour Pack, Glazed Tailgate, Heated Rear Window with wash wipe, No Bulk. Why not give us a call to discuss this vehicle further? 01932 765909.